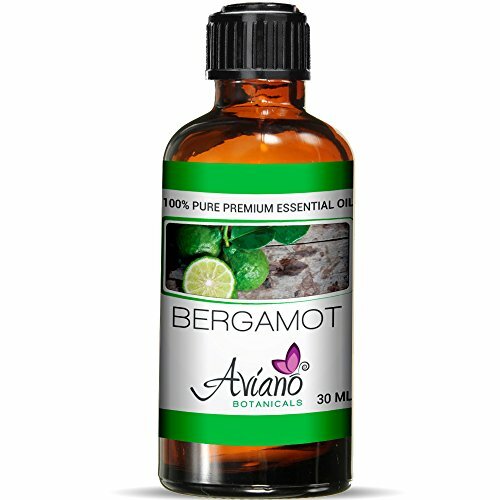 Nature's Alchemy 100% Essential Oil in Bergamot (Citrus bergamia): Nature's Alchemy are 100% natural essential oils are meticulously extracted from plants by cold pressing or steam distillation. Nature's Alchemy high-quality botanical oils are perfect for aromatherapy baths room fragrancing personal fragrance potpourri massage oil fragrancing or anywhere you would like to have a wonderful fragrance. Nature's Alchemy has an extensive selection of fragrances to please and rejuvinate your senses. Other Ingredients: 100% Pure Natural Essential Oils. Warning: Not for internal use. Keep out of reach of children. Warning: Concentrated. Not for internal use. Keep out of reach of children. Botanical Name: Citrus Bergamia Plant Part: Crude Fruit Peel Extraction Method: Cold Pressed Origin: Italy Color: Light yellowish green to yellowish brown liquid. Common Uses: Bergamot Essential Oil can be used in the treatment of depression, stress, tension, fear, hysteria, infection (all types including skin), anorexia, psoriasis, eczema and general convalescence. Consistency: Thin Note: Middle Strength of Aroma: Medium Aromatic Scent: The aroma is basically citrus, yet fruity and sweet with a warm spicy floral quality, and is reminiscent of Neroli and Lavender Oils. bergamot essential oil Cautions: Bergamot Essential Oil can cause severe burns when used on sensitive skin that has been exposed to sunlight due to the high bergaptene content. 10 ml bottle of each Cedarwood (Cedrus Atlantica), Lavender (Lavandula angustifolia) and Bergamot (Citrus Bergamia)A great set to help you let go of it all. All of these oils also can be used to improve sleep and relieve stress. All Destination Oils are 100-percent pure, therapeutic grade essential oils.The best quality for a great price. Essential oils are incredibly concentrated and powerful so ensure safe use by properly diluting with a carrier oil. Always test for skin sensitivity prior to widespread use. Keep out of eyes, ears, or nose. Keep oils tightly closed and out of the reach of children. Do not ingest essential oils unless guided by a trained professional.The information provided on this website is only our opinion, and is not intended as medical advice or diagnosis. Statements have not been evaluated by the FDA and are not intended to diagnose, cure, treat or prevent any disease. Information on this page should not be interpreted as medical advice, meant for diagnosing illness, or for prescriptive purposes. Always discuss any essential oil use with your doctor or trained aromatherapist. Features: State: Iowa Material: 100-percent Pure Essential Oils Set includes: Cedarwood, Lavender, and Bergamot Size: 10ml each About the Manufacturer: Welcome to Destination Oils. My name is Kara and I am the owner of Destination Oils, a small essential oil business located in Iowa. We want to bring great, high quality essential oils and unique aromatherapy jewelry to the online marketplace. Our oils are 100-percent pure, therapeutic grade with no fillers, preservatives, or chemicals. Just oil. The best quality for a great price. Enjoy the crisp citrus scent of this bergamot essential oil. Cold-pressed from fresh fruit peels, this oil offers 100-percent purity. Add it to diffusers or potpourri for a refreshing way to relax. 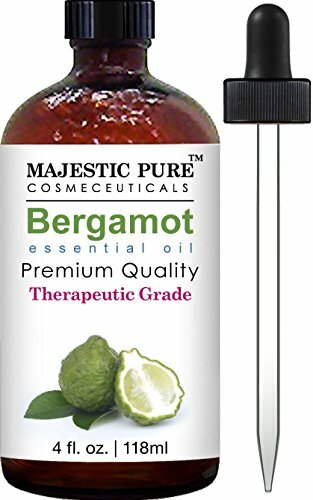 100-percent pure Citrus Bergamia Purity tested/ quality assured Extraction Method: Cold Pressed from fresh fruit peel Size: 1 fluid ounces (30 ml) Active ingredients: 100-percent pure bergamot oil Due to the personal nature of this product we do not accept returns. Due to manufacturer packaging changes, product packaging may vary from image shown. Bergamot is the most delicate of the citrus plants, requiring special climate and soil in order to thrive. Italians have used Bergamot for years to reduce tension and stress and to soothe and rejuvenate skin. In Greece, the unripe fruits are used as sweetmeats, eaten by the spoonful as a dessert or with coffee. 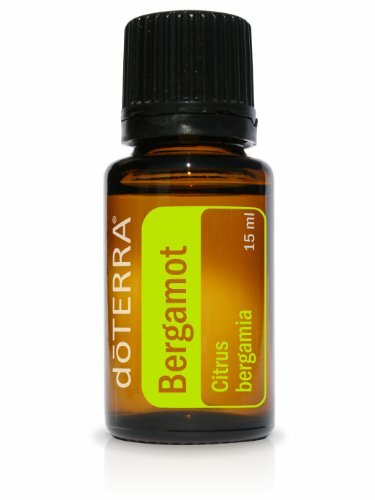 Bergamot is unique among citrus oils due to its ability to be both uplifting and calming, making it ideal to help with anxious and sad feelings. It is also purifying and cleansing for the skin, helping with oily skin conditions and promoting a smooth, clear complexion while having a calming effect. Diffuse in the classroom, at work, or at home when stress levels or tension is high. Apply to the skin while showering and inhale deeply to experience its calming aroma while enjoying its purifying skin benefits. Change regular tea to Earl Grey with the addition of Bergamot. Apply to the feet before bedtime or use with doTERRA Fractionated Coconut Oil for a calming and relaxing massage. Add one to two drops to your favorite doTERRA skin care product for added cleansing properties. Attract money uplift spirits. Pure essential oil for external use only.